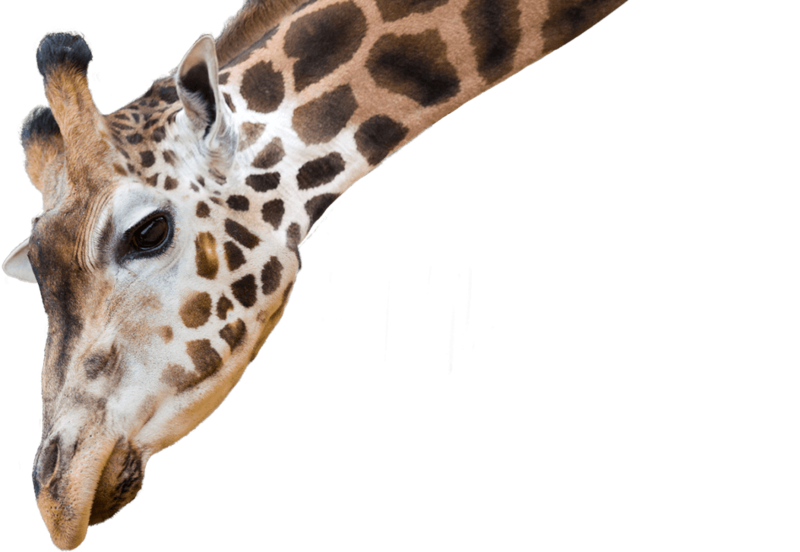 Holding the record of the tallest land mammal, the giraffe is an iconic African animal. The giraffes’ many specialised adaptations has created its own unique niche on the Savannah. The giraffes’ long neck enables it to eat the top leaves of the African acacia tree, no other animal can do this. Their 45 to 53cm long prehensile tongue wraps in between the long thorns of the Acacia tree. To prevent sunburn, their tongue is dark blue. Thick saliva protects their mouth from the bite of stinging ants which inhabit many trees. Giraffes are also known as the ‘lookout of the plains’. Their height allows them to see up to 2kms. If a giraffe sees a predator in the distance they move in the other direction; other animals watch the giraffes’ movement and follow suit to avoid predators. The National Zoo is home to three giraffes. Humbekhali (Hummer), Shaba and Mzungu.